I haven’t been writing. I haven’t been checking in with myself. I haven’t been drinking in the life my body is moving through. I have been raising my son. I have been loving my wife. I have been doing my best at work. I haven’t been carrying my camera. I haven’t been screeching to a stop when the wind blows plastic through barbed wire in a beautiful way. I haven’t been stopping. I have been sleeping…more. I have been stopping earlier, sometimes. I have been better to my colleagues at work. I have started running, a little. I haven’t been holed up in my privacy. I haven’t talked with some friends. I rarely cook dinner. I am talking with some (other) friends. I am writing now. 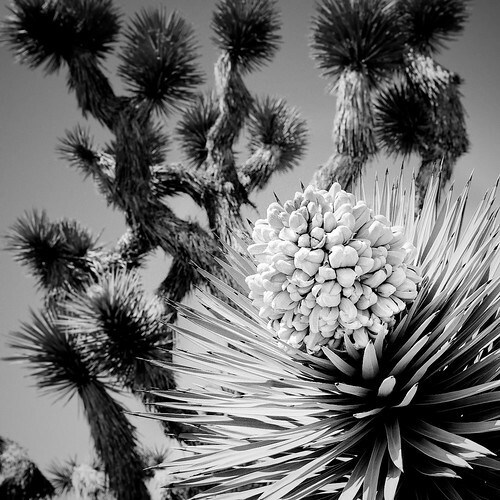 This entry was posted in Bend Light and tagged Aperture 3, Bend Light, Black and White, D700, Flowers, Joshua Tree, Nik, Nikon, Oregon, Square, trees, Writing. Bookmark the permalink. I think I have been feeling similarly as of late. Give and take; up and down; in and out; empty and full; hide and seek; seeking and found. I guess I wonder if I am being productive with the right things and I question those things that maybe only I know that I have been avoiding.